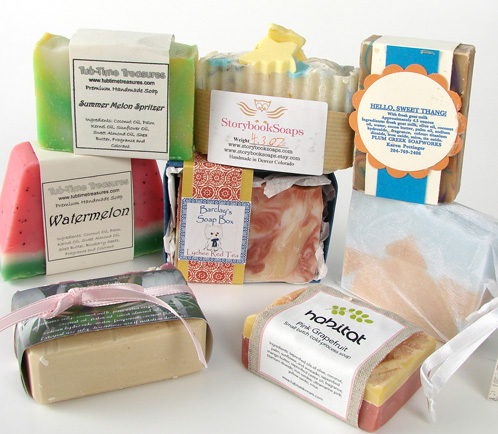 Do you love everything about soap? The scents, smells, bubbles handmade with luxurious ingredients and insane artistic craftsmanship? We do too, which is why we’re organizing another Soap Swap (and the crowd goes wild). It’s an opportunity to showcase your soapmaking skills and a chance to enjoy soap made by fellow soapmakers in our tight knit community. 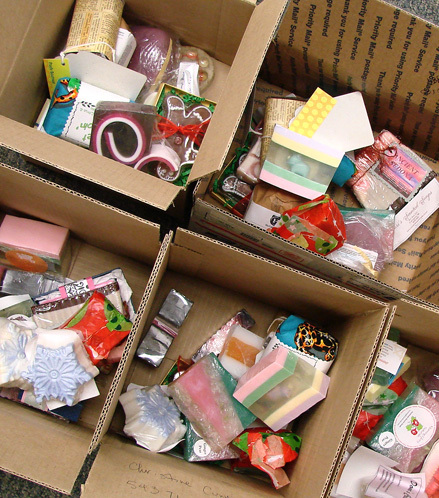 The very first Soap Swap we organized was right before Christmas and it was a hit! We had over 100+ people enter (jaw dropping). We were up to our knees in soap and loved every minute of it. Now we’re jonesing for round two! You make 12 bars of soap (Cold Process or Melt and Pour) and label them with the ingredients you used and your name, your company name or soaping alias. You send the soap to Bramble Berry ensuring that it is received by Monday, May 2nd. 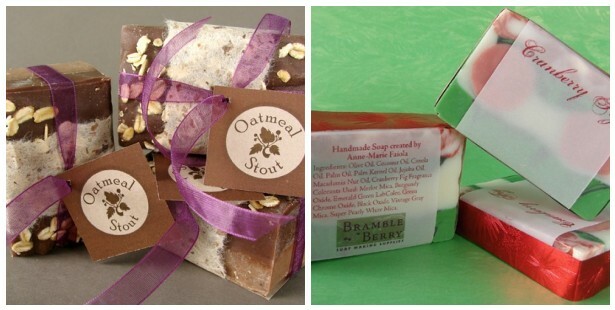 You purchase the Soap Swap item on the Bramble Berry website and choose what shipping method you would like. (USPS Flat rate box will be $13.15 but FedEx or Priority Mail may be less expensive depending on where you’re located). We’ll make the payment option available two weeks before the deadline. Sit back and wait for your exciting box of goodies! We will get the swap boxes sent out by Monday, May 9th. Sound like fun? Sign-up here! If you have any other questions, comments or concerns please email swap(at)brambleberry(dot)com. Let the fun begin! Here’s what we made for the cold process category in the last swap: Oatmeal Stout and Cranberry Fig. Soapy Social Media Roundup Did You Already Eat That? (Guest Post) About.com Ghoulish Round Up Winning Surprises is Fun: The Winners Uh, Can I Put You on Hold Again? Next Post: Who’s Ready for Another Epic Soap Swap?